He was born in 1967 in Ankara. He was graduated from Bornova High School in 1985 and Ege University Faculty of Medicine in 1991. In 1996, he completed his post-graduate studies in Obstetrics and Gynaecology at Ege Maternity Hospital of Izmir Tepecik Training and Research Hospital and he worked as obstetrician and Gynaecologist in 1996-2016 at the same hospital. In 1997-1999, he completed his military service at Diyarbakir Military Hospital. He served at a private maternity clinic in 1999-2001 in Izmir. He attended In Vitro Fertilization Certificate program in 2007 at Ege University, In Vitro Fertilization Centre and joined the refreshment training in 2013. He conducted intensive studies on Reproductive Endocrinology, Infertility and In Vitro Fertilization as well as Endoscopic Surgery (Operative Laparoscopy, Operative Hysterectomy including Total Laparoscopic Hysterectomy, Follow-Up of Risky Pregnancies, Fetal Ultrasonography (2D, 4D, Doppler), Maternal-Fetal Medicine and Invasive interventions (Amniocentesis, Cardiocentesis, CVS) and Gynaecological Oncology Surgery upon completion of his post-graduate studies. He attended numerous congress, meetings and courses both at national and international level. 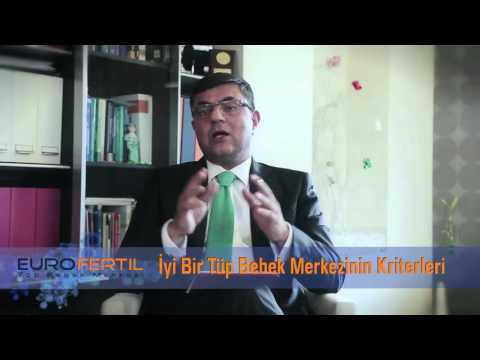 He is a member of TJOD (Turkish Society of Gynaecology and Obstetrics), TSRM (Reproductive Endocrinology and Infertility Society), UTD (Reproductive Medicine and Surgery Society), JED (Gynaecological Endoscopy Society), ESHRE (European Society of Human Reproduction and Embryology), ASRM (American Society of Reproductive Medicine) and Izmir Chamber of Medicine He speaks English and French. He has been working for Izmir Eurofertil since August 2016.